Have some fun with these simple Easter basket ideas for kids. Simple and easy is the name of the game around here. See what passes the test of time and wins smiles on Easter morning. Easter will be here before we know it and as someone who didn’t really celebrate with gifts and baskets as a child, I tend to forget about that part when it comes to my kids. I do enjoy a reason to celebrate though, so I’m sharing some last minute Easter basket ideas that kids will love but won’t break the bank. To be sure, I don’t think Easter Baskets are a requirement. I mean, Jesus didn’t exactly come hopping out of the tomb with a handful of candy (not saying he couldn’t). But it’s fun for the kids to have something to celebrate and I get the leftovers. Win win. Here are a few fun Easter basket ideas to help make the day festive and treat your little ones with or without candy. This post includes affiliate links, which means I may earn money (at no extra cost to you) when purchases are made. I received items in this post in exchange for my honest opinion. 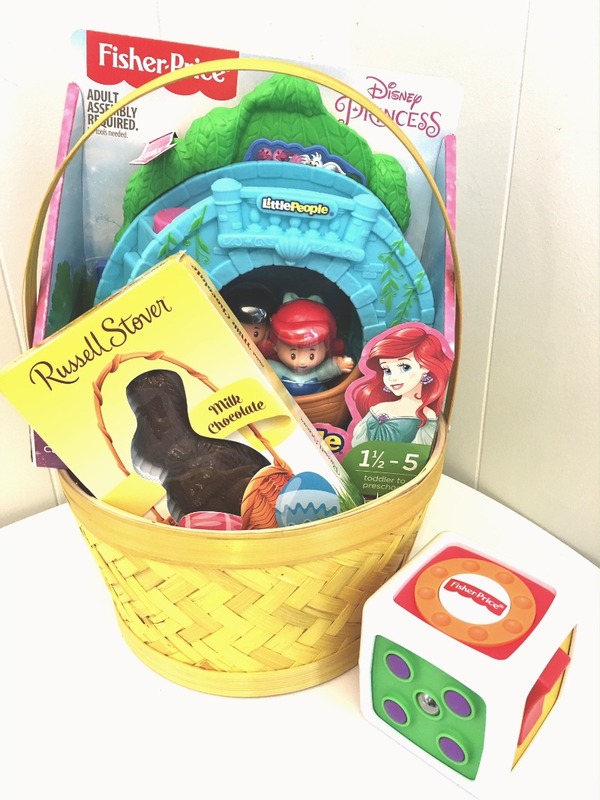 Chances are you don’t want to give your baby tons of chocolate, so I think a simple chocolate bunny and a small toy or book is perfect for the wee ones. We love the Disney Little People from Fisher-Price and this Disney Princess Ariel & Eric’s Boat Ride by Little People set is adorable. Pair it with My First Fidget Cube, which really is fun for any age if you ask me, and you have a fun treat that won’t break the bank. 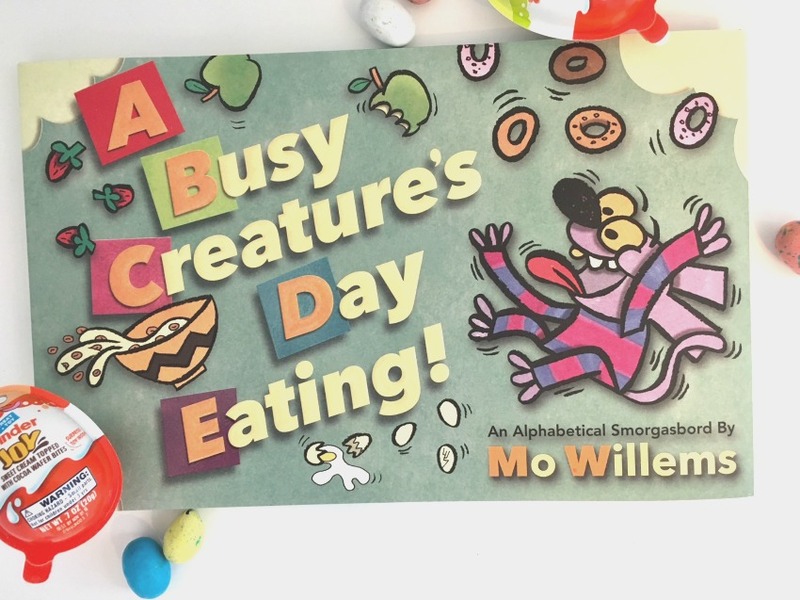 If you want to go the book route, I am a huge fan of Mo Willems and his new book, A Busy Creature’s Day Eating is a fun new way to learn the ABC’s! Of course you can never go wrong with The Pigeon books either. Read: Calvin Turns 1 – Don’t Let The Pigeon Throw This Birthday Party! Early elementary kiddos will love just about anything because getting a gift is always fun! Now that we finally have access to Kinder Joy eggs here in the US, they are definitely on the list. Rescue Bot toys were always a big hit with my youngest too. Another idea is to change up the traditional egg-hunt and do a scavenger hunt to find the gift or basket. 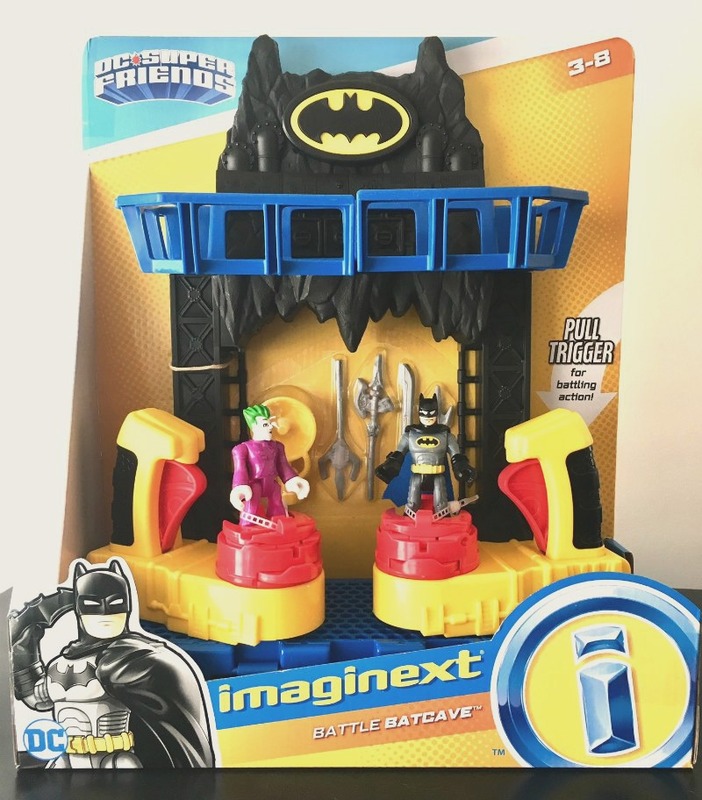 If you’re wanting to get something a little bigger or for siblings to share, the Imaginext DC Super Friends Battle Batcave is a fun and interactive toy that lets kids play together as Batman and Joker continue their epic battle. This year, my boys are getting a few sweet treats and maybe a book or two. 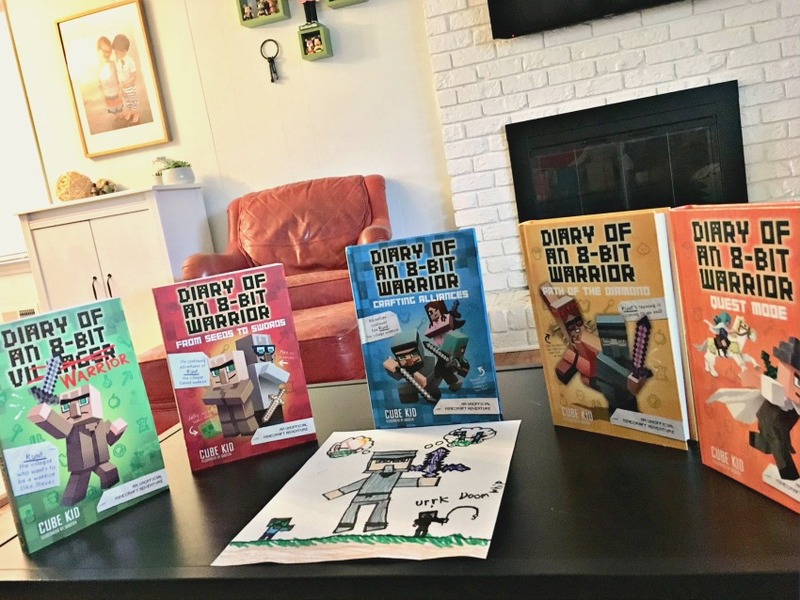 For the Minecraft fans, we are loving the Diary of an 8-bit Warrior series. Book #5 – Quest Mode just came out and Oscar (age 9) gave it two thumbs up! He can’t wait for the next one. 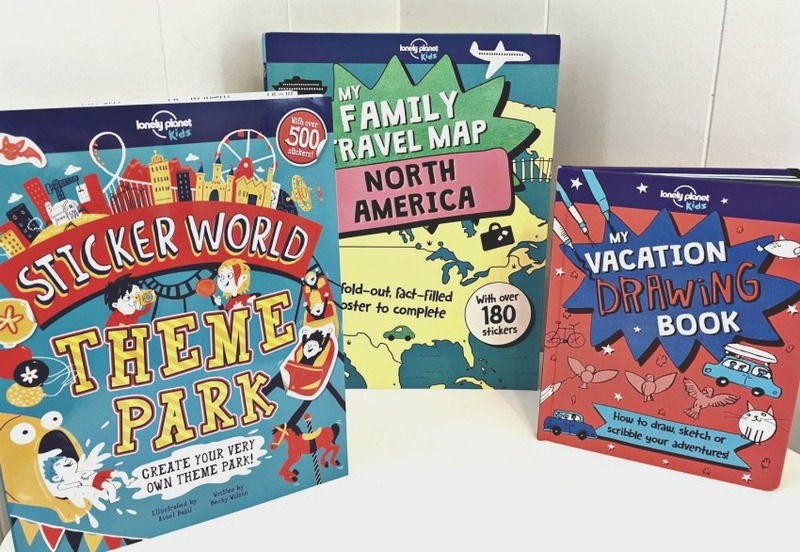 You can also pre-order the Vacation Drawing Book (out April 17th) for a really great interactive journal! Whether or not you plan to do Easter baskets, these treats would make a fun gift any day of the year! Wondering what to do with those leftover eggs? Make this fun Humpty Dumpty craft! And yes, he can even be put back together again!